Almutaster Löve & Löve (1982) includes a single x=9 species native to western North America (Brouillet 2006 FNA). 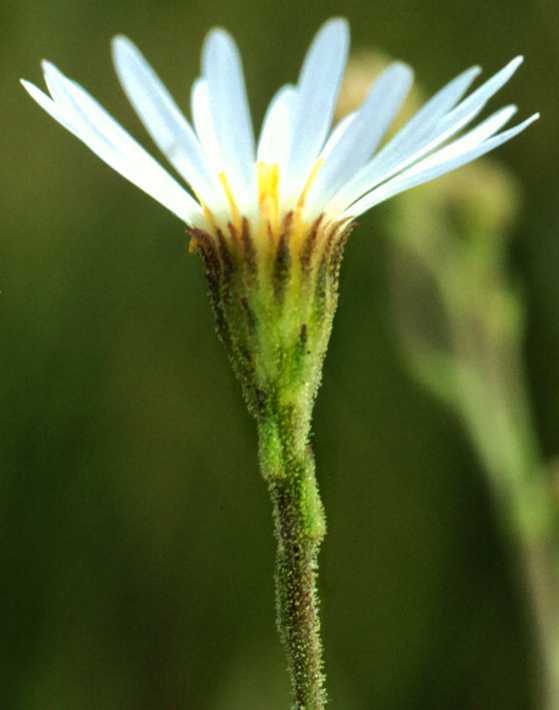 It is a member of subtribe Symphyotrichinae in the x=9 basal grade leading to Symphyotrichum. Lane et al. (1996) and Xiang and Semple (1996) found it belonged within the Symphyotrichum Clade based on cpDNA RFLP analysis. This was confirmed in Brouillet et al. (2001) using ITS sequence data and by Brouillet et al. (2009). Semple et al. (2002) accepted generic status for this species. The genus name honors Almut Jones. Almutaster pauciflorus (Nuttall) Á. Löve & D. Löve is a herbaceous perennial native to usually brackish soils from the Northwest Territories in Canada south on the Great Plains to South Dakota and in the mountains to south to Mexico (Brouillet 2006 FNA). 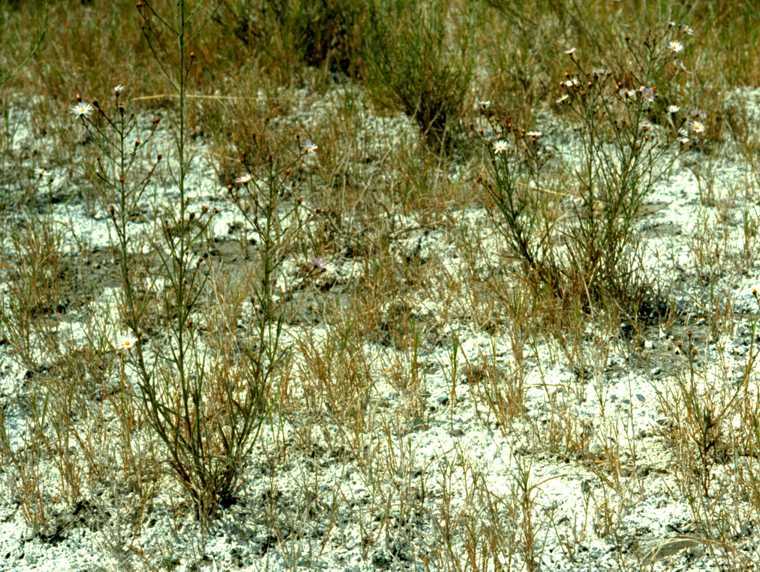 The stems, leaves and phyllaries are densely glandular. The species is diploid (2n=18). Brouillet, L. 2006. Almutaster A. Löve & D. Löve. p. 461. In Flora North America Editorial Committee, eds. Flora of North America. Vol. 20. Asteraceae, Part 2. Astereae and Senecioneae. Oxford University Press, New York.